Eugene Parker received a Bachelor of Science in physics from Michigan State University and a doctorate from Caltech, then went on to teach at the University of Utah, University of Chicago, and at the University of Chicago’s Enrico Fermi Institute. Eugene Parker currently serves as the S. Chandrasekhar Distinguished Service Professor Emeritus, Department of Astronomy and Astrophysics. While teaching in 1958 at Fermi Institute, Parker published an article discussing what he believed to be high speed matter and magnetism that was constantly escaping from the sun and how this affected the solar system and its planets. The article was called “Dynamics of the interplanetary gas and magnetic fields” in The Astrophysical Journal. The phenomenon Parker described is now known as solar wind and has been proven to exist repeatedly via direct observation. Parker’s work on this subject was an important foundation to feed the future understanding of the interactions between stars and their orbiting planetary bodies. 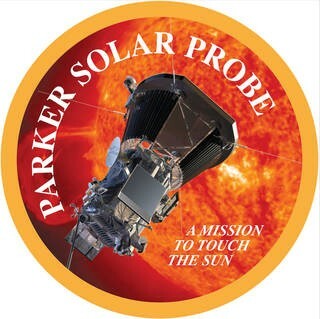 Similar to the work the aforementioned astrophysicist, the Parker Solar Probe will have the ability to answer some of the most puzzling questions about solar physics that have been discussed over the past six decades. Parker Solar Probe Project Scientist Nicola Fox continues, “It’s a spacecraft…that will solve many of the largest mysteries about our star, including finding out why the sun’s corona is so much hotter than its surface.” Parker also discussed possible theories for the difference between the heat of the sun’s corona and its surface. The solar probe is exploring a portion of space that we have never been able to examine closely before! This query and more will hopefully be answered next summer, as the Parker Solar Probe is set to launch within a twenty-day window opening on July 31st, 2018. This mission is part of a NASA program designed to explore the aspects of the relationship between Earth and the sun that directly affect our lives and society, known as Living With a Star (LWS). Stay tuned and #GetExcitedSU for the first solar probe to visit our sun!